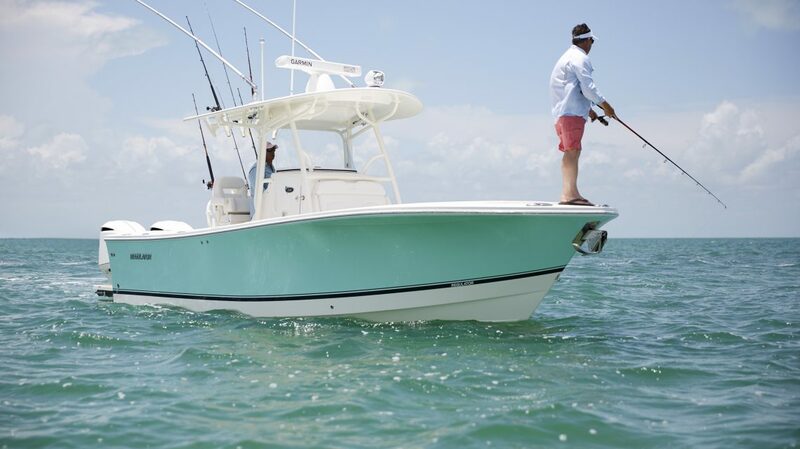 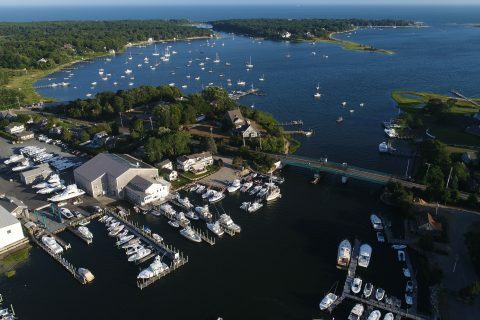 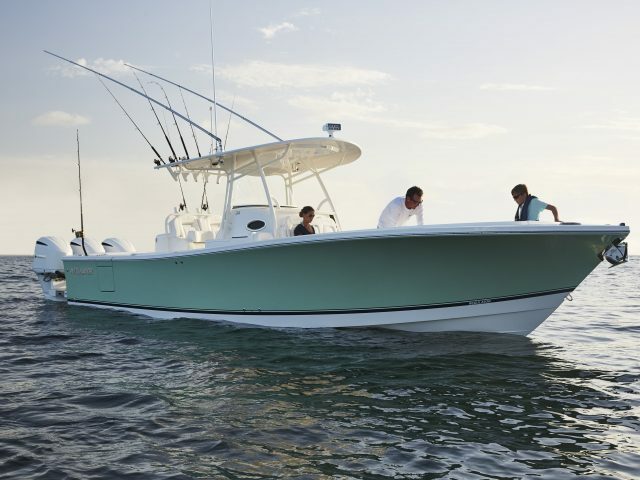 If you’re a boater on Cape Cod, you want a sturdy vessel that can handle challenging conditions, is set up for serious fishing and can be an oasis on the water where you can relax with friends and family. 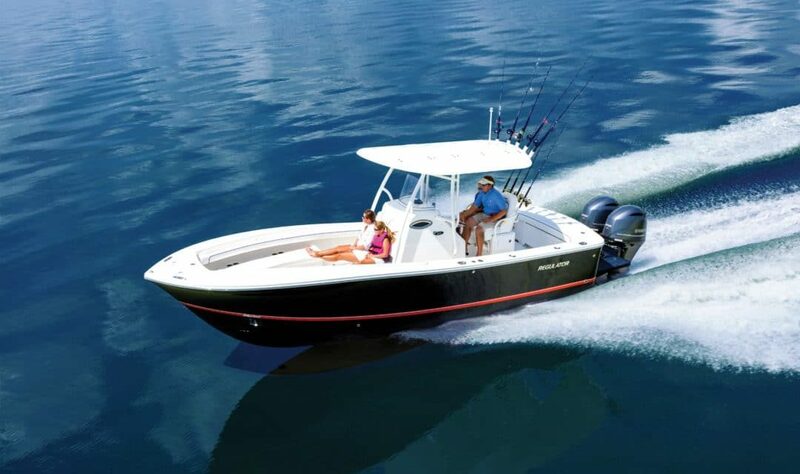 That boat is a Regulator. 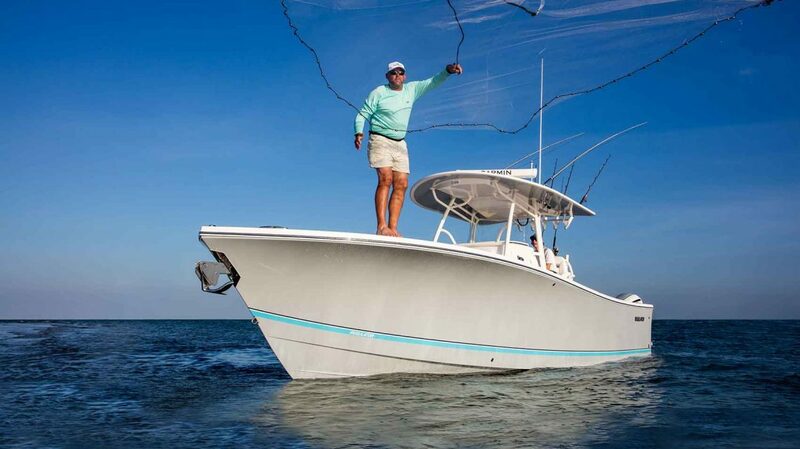 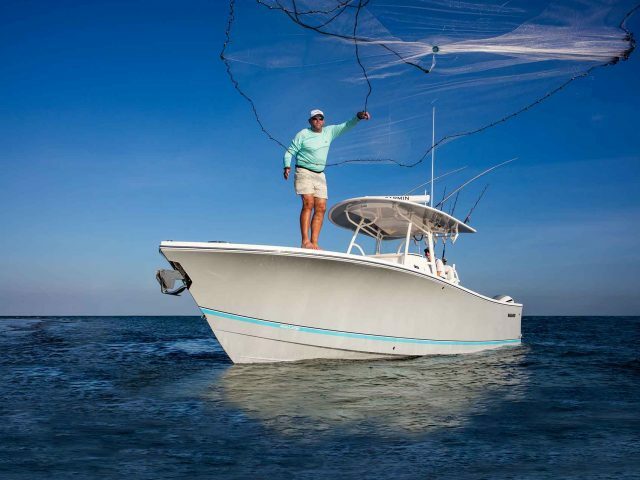 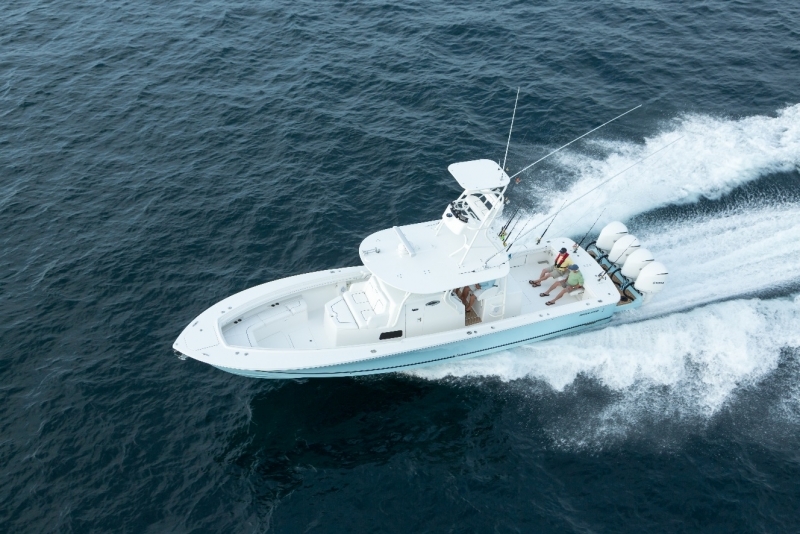 For more than a quarter century, Regulator Marine has earned a reputation for building the finest offshore fishing boats. 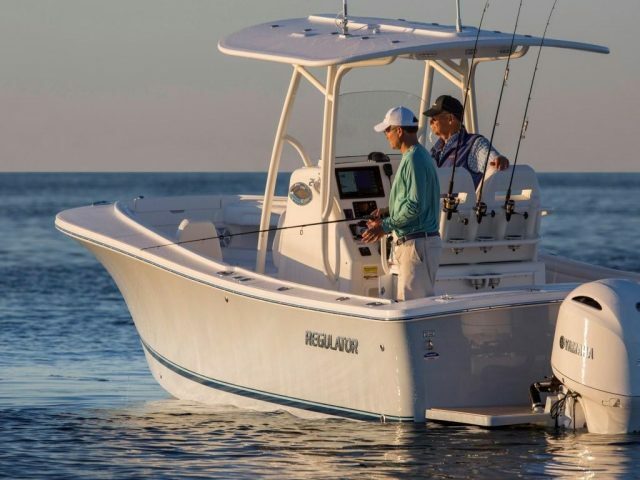 Their line of center consoles, ranging from 23 to 41 feet, are an ideal match for Cape Cod fishermen, whether you’re looking for stripers along the coast of Chatham and Monomoy Island, or you’re hunting larger prey far offshore. 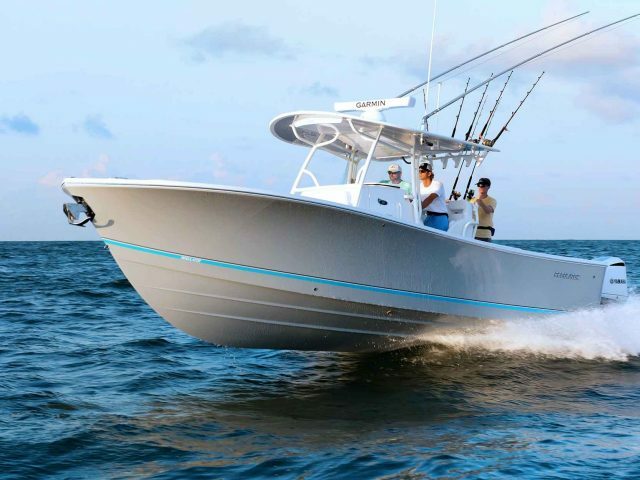 Regulator is also known for their commitment to quality. 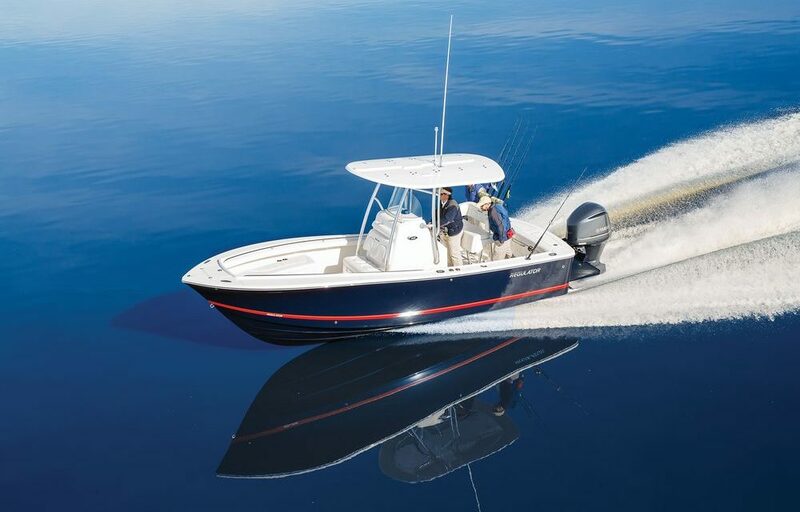 Every inch of new Regulator Marine vessels are meticulously inspected to make sure customers are getting marine engineering perfection. 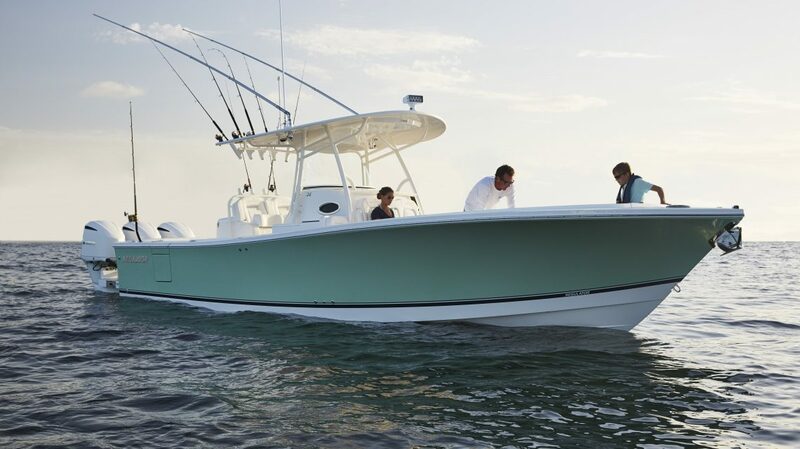 Built in Edenton, North Carolina, new Regulator boats are tested against the challenging conditions of the Outer Banks, so they’re ready for the challenge should the seas kick up when you’re in Vineyard Sound or Buzzards Bay. 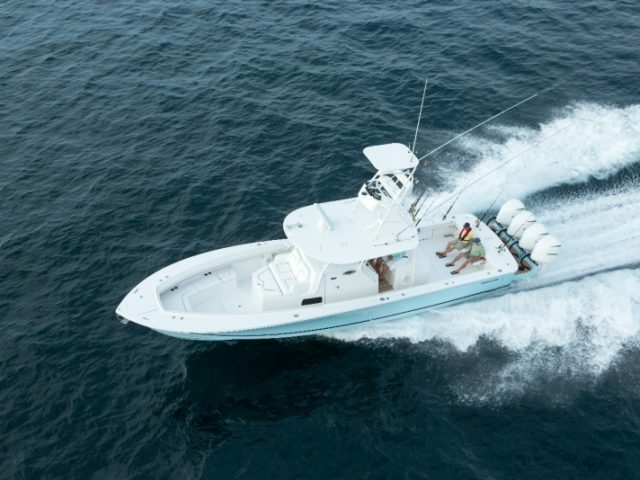 And that durability means when you buy a used Regulator boat, you’re getting a vessel that can be with you for the long haul. 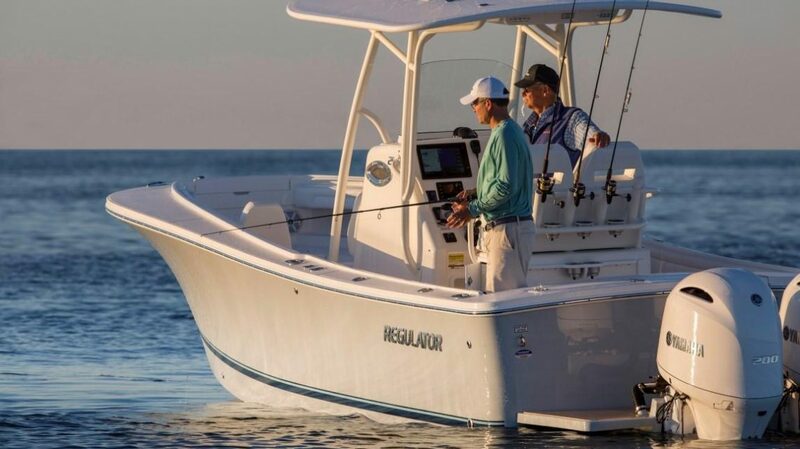 While Regulators are durable and have a layout and features that are ideal for fishing, they also have the comforts and amenities you need for a day of relaxing with friends and family. 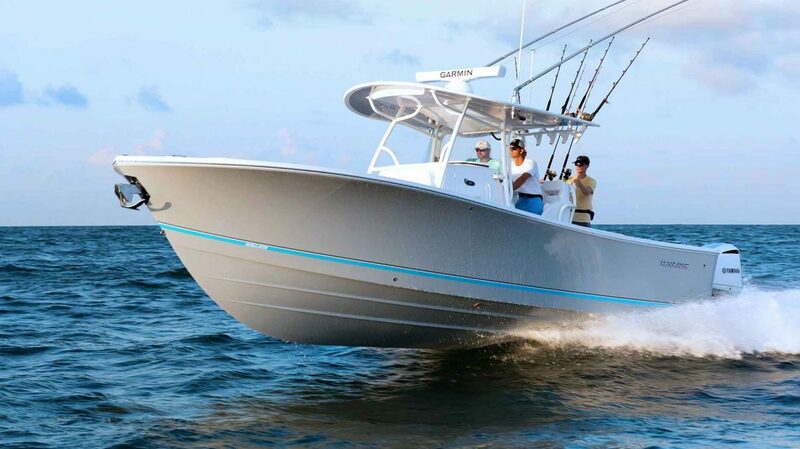 Your whole crew will be delighted with a Regulator. 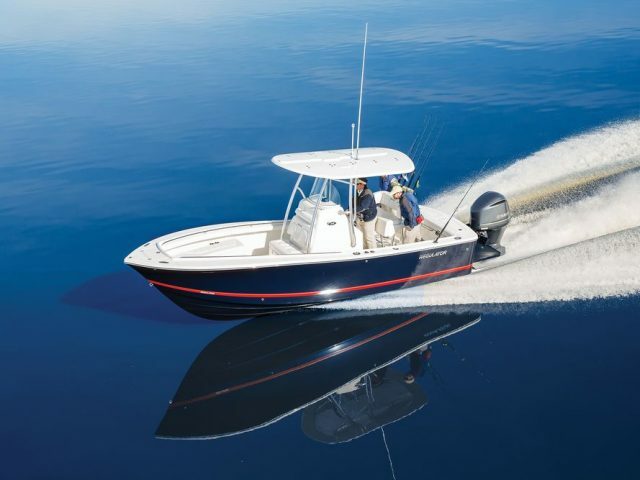 If you’re interested in learning about new and used Regulator Marine boats, sales representatives from Oyster Harbors Marine are your ideal guides. 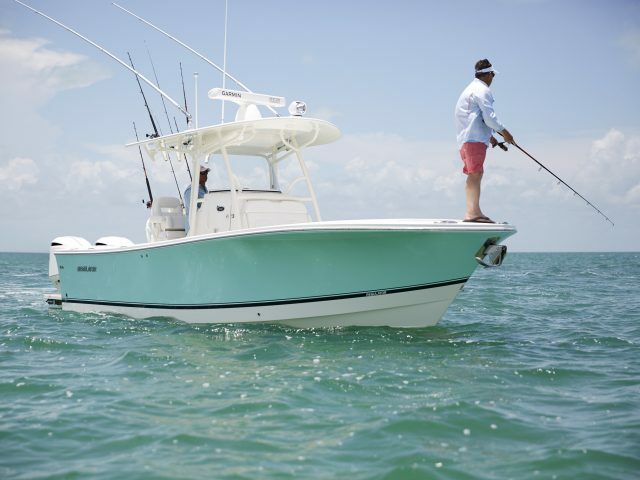 Oyster Harbors has been a Regulator dealer for 20 years and has received the Regulator Dealer of the Year Award seven times. 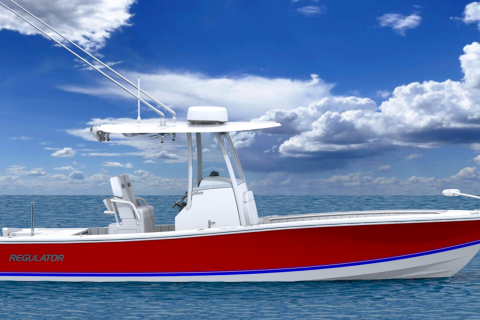 Be sure to check out Oyster Harbors’ inventory of new and pre-owned Regulator boats. 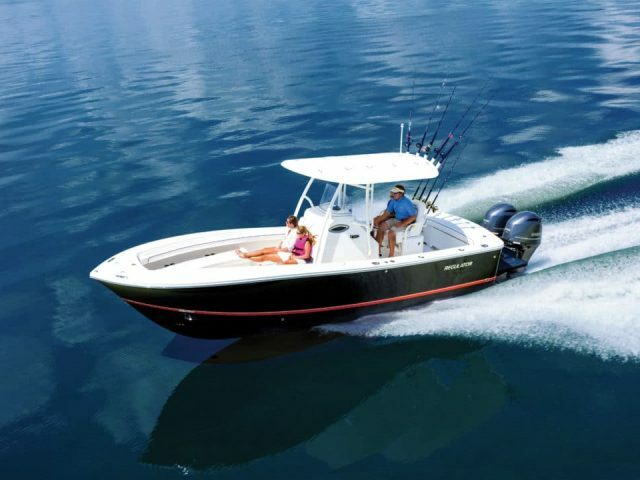 You can find Regulator Boats at..